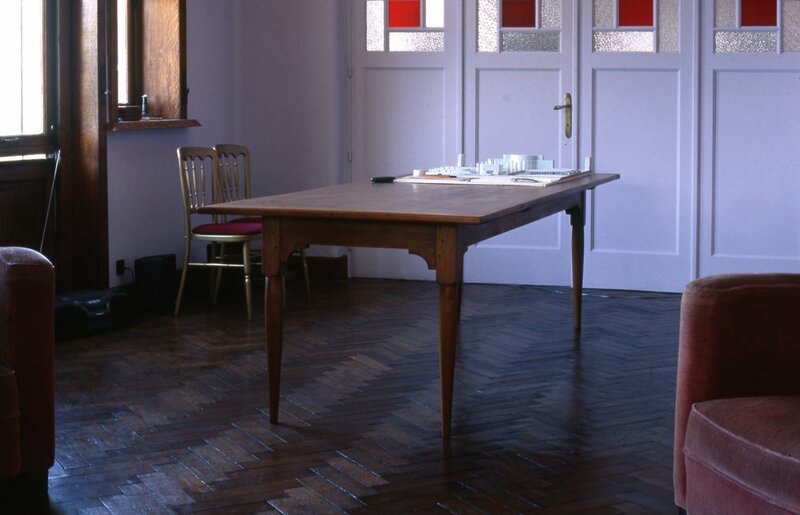 Villa Eugénie, known for organising great fashion events, contacted me to design two tables for their Brussels' office. The tables serve as meeting tables, where designs, plans and models are given enough space to be presented and discussed. 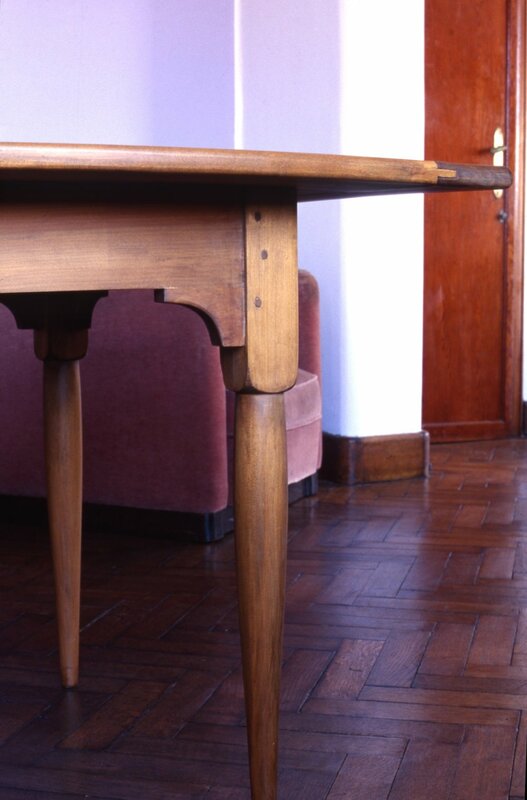 The design of the tables was inspired by the Shaker style. This elegant, functional and minimalist style is an important movement in furniture design dating back to the 18th century. The Shaker point of view was reflected in their designs, but also in many innovations in tools and machines development. The long and elegant tables are built in a timeless way, creating authentic details that are only visible at a second glance. The shape of the legs adds some tension and contrasts with the heavy top, giving more character to the pieces. One of the tables serves as a design and work table. I finished it off with a zinc leaf, making the surface smoother and making writing more pleasant. For a natural shine, the table was oiled and then waxed.